Heavily indebted sugar and ethanol companies in Brazil are gearing up for possibly one of the best seasons ever in 2016/17 as weather conditions point to excellent cane volumes, while prices in local currency hover near record highs. Brazilian mills appear likely to benefit the most from the first global sugar deficit in six years, which is widening as El Nino hits rivals such as India, Thailand and the European Union. Raw sugar’s May futures jumped 8.9 percent on Tuesday on supply worries, the contract’s biggest one-day gain. Sugar and ethanol companies in Brazil have had six lean years as a combination of low sugar prices and a squeeze on ethanol margins sank several mills and led many more to bankruptcy protection. 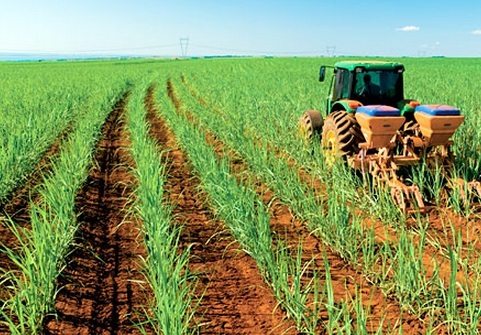 “As the projections for the global deficit increase, the cycle of low prices seems to be a thing of the past,” said Rui Chammas, chief executive at Biosev SA, the world’s second-largest cane processor, controlled by French commodities trader Louis Dreyfus. A positive outlook for 2016/17 would be an opportunity for mills to reduce the huge sector’s debt, estimated at close to 100 billion real ($25 billion) by investment bank Itaú BBA. “Our goal continues to be to reduce our leverage. We hope to use cash flow mainly for that,” said Nelson Gomes, chief executive officer at Cosan SA Industria e Comercio, which jointly with Royal Dutch Shell PLC manages the joint venture Raízen, the world’s largest sugar producer. Smaller groups than Cosan and Biosev have larger debts and the new season should provide them with a lifeline. Forecasters expect a record center-south cane crop thanks to El Nino rains. Sugar and ethanol consultancy Datagro sees it at 625 million tonnes, above the previous record of 620 million tonnes in 2015/16. As well as record volume, the expected end to El Nino in the first semester should make for a drier Brazilian winter, potentially increasing sugar content (ATR) in the cane. Dry weather boosts sugar content, while wetter weather reduces it, as it happened in 2015/16 when one of the strongest El Ninos on record hit processing in Brazil’s center-south. “We came from a ATR of 141 kilos per tonne of cane in 2014/15 to only 128 kg/t last season. I lost 12 kilos of ATR,” Felipe Vicchiato, chief financial officer for sugar group São Martinho SA, told investors last week. “If sugar content returns to normal levels, we could see some 135 kg/t in the new crop. It would be more sugar with no additional cost,” he said. Broker INTL FCStone projects average sugar content to grow 2.6 percent to 134.8 kg/t in the new crop. It expects total ATR to reach 83.4 million tonnes, a 5.9 percent jump over last season thanks to higher cane volumes. With that amount, mills should produce record quantities of sugar and ethanol when the prices for both are near records in local currency. The real currency slid more than 30 percent against the dollar last year as Brazil’s economy slid into its worst recession in decades. Ethanol prices in January were the highest since at least the end of 2012, according to Datagro. Although the biofuel price at gas stations is more than 70 percent of gasoline’s value, a point where drivers of flex fuel cars should opt for the fossil fuel, demand remains strong. With the recession hitting employment and personal income, sales of more expensive gasoline fell 13 percent in January, while ethanol sales fell only 3 percent. “One reason for sustained ethanol demand is that the consumer can fill up the tank with fewer reais, even if he will have fewer kilometers per liter compared to gasoline,” said think tank Cepea/Esalq in a report on Tuesday. Crystal sugar prices in the domestic market SUG-INS-BRL went above 85 reais per 60 kg bag in January, the highest price ever registered by Cepea/Esalq, due to the spike in futures late last year and the weakening of the real. They fell to around 80 reais early in February on the expectation of the large crop, said Cepea, but are paying more than sugar exports or selling ethanol.